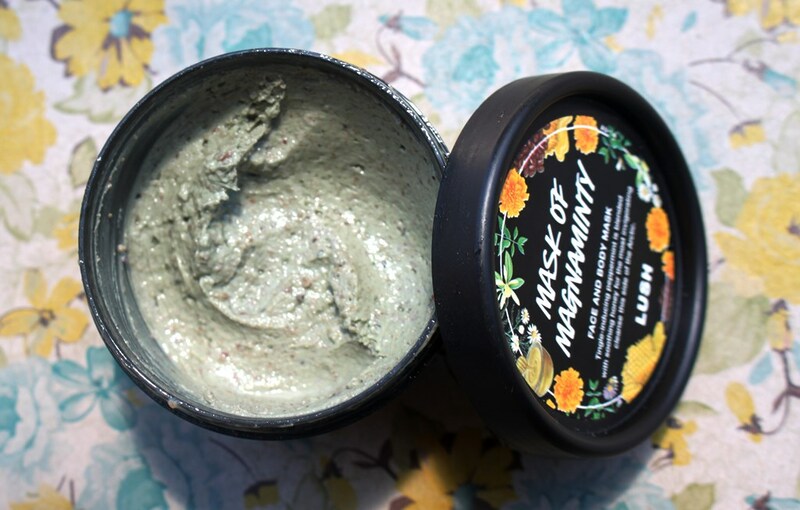 The Lush Mask of Magnaminty claims to be a multi-purpose mask designed to deliver a refreshing, deep cleanse and help to maintain bright and healthy skin. Lush stresses their Zambian Honey is fairly traded and sourced from wild bees using traditional methods. Due to its strong antimicrobial, antifungal and anti-inflammatory properties, honey is able to cleanse and protect skin and also contributes natural preservative function to the mask. 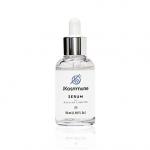 As a humectant, it draws and retains moisture for increased skin hydration and suppleness. Kaolin is present at the next highest concentration. Kaolin helps to cleanse and exfoliate by absorbing excess oil, particularly effective for acne-prone and oily skin types. It additionally assists the natural preservation of the product by drawing water and moisture away from bacteria. Bentonite Gel is commonly used in face masks due to its excellent ability to draw out impurities from the skin while also serving as an antibacterial cleansing agent. 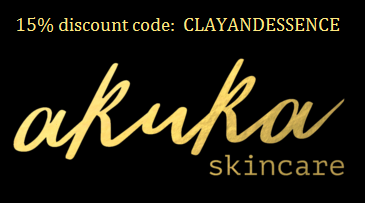 When clay swells, it becomes a porous sponge drawing toxins from the body. Lush uses bentonite derived from volcanic ash deposits found in the USA. Talc is a hydrated magnesium silicate, finely milled and purified for cosmetic use. Much like kaolin, it is highly absorbent and also contributes self preservation to the formulation. 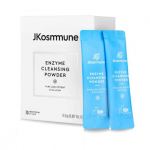 Both ground Aduki Beans and Evening Primrose Seeds are included for their exfoliation capability, able to remove dead surface cells for a polished, renewed appearance. 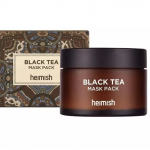 The beans contain Saponin which helps cleanse pores by absorbing excess oils, removing dirt and dead skin cells, drawing out impurities and promoting circulation. The seeds contribute anti-inflammatory and soothing properties via astringent properties which can relieve skin irritations and disorders such as eczema, psoriasis and acne. Peppermint Oil contains 44% menthol, the component believed to be responsible for both skin benefits and risks. It generates a cooling sensation by dilating blood vessels. Peppermint Oil is often used in skin products primarily because of its antibacterial properties but it is a common sensitizer too. Meanwhile, the natural antioxidants and antibacterial properties of Tagetes Oil help to keep the skin healthy and youthful looking. Apart from the universally loved scent Vanilla exudes, it also offers antioxidant and soothing effects to protect against environmental stressors and calm irritation. Other valuable nutrients that benefit the skin are provided by B group vitamins (including niacin), thiamin, riboflavin, vitamin B6 and pantothenic acid. Further fragrance is added to the mask with Limonene and Perfume. The former is characterised by a lemon scent, the latter dependent on the combination of natural oils used. Both are known sensitizers. Chlorophyllin is added primarily to give the mask its distinct green colour. 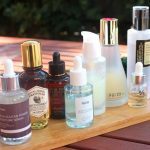 It’s concentration would not likely permit other skin benefits (arising from antibacterial, antioxidant and vitamin rich content) to be realised. Finally, Glycerin is one of the most common ingredients in skincare. It is a humectant, able to draw water from the atmosphere for a hydration and softening boost. The one used here is palm free, vegan friendly and derived from rapeseed oil. There are two forms of this mask, one is self-preserving and contains a lot more honey to compensate for the lack of a synthetic preservative. 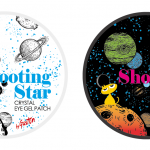 This is the version I have for review – 13 ingredients and 100% natural. The other version includes the synthetic preservative Methylparaben which is antifungal and widely used in the cosmetic industry due to its reputation as non-irritating in low concentrations. 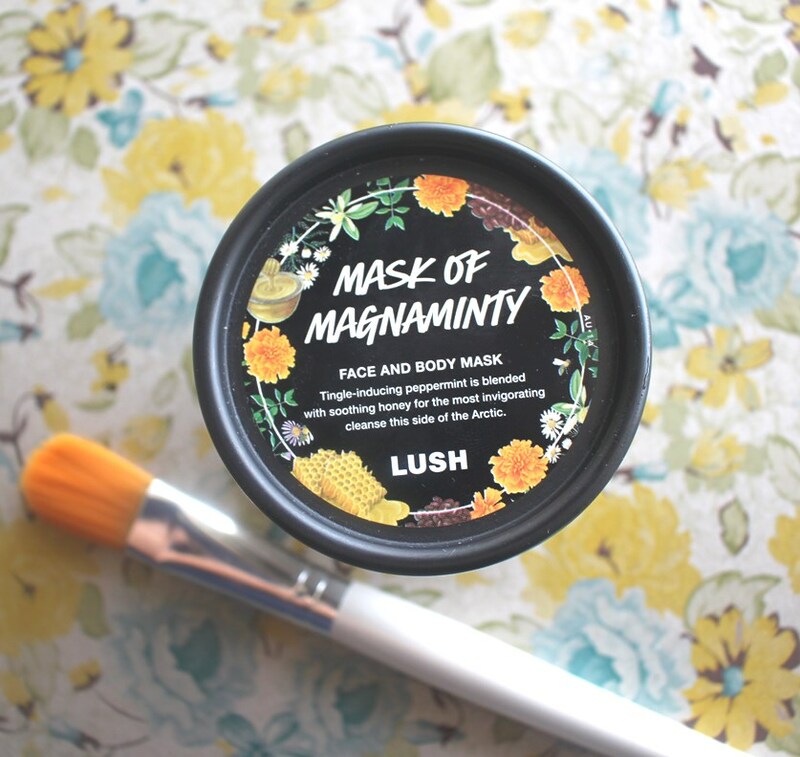 The Lush Mask of Magnaminty comes in a recycled plastic screw top container. There is no spatula or dispensing aid. The analysis is as you would expect with a product that uses known sensitizers in its formulation. Both the CosDNA and EWG reports return warning flags against Fragrance, Peppermint Oil and Limonene and also in the case of the non-self-preserving version, the presence of a paraben. The tub instructions are very basic. Cover skin generously with the mask. Scrub, allow it to dry then rinse off with water in circular motions. Adding a cloth for removal will enhance the exfoliation. The original formula dries more thoroughly than the self preserved version since the latter has a higher honey content, making it thicker and wetter. The mask can be used on face and body. Typical of the product name and ingredient list, the scent is distinctly minty. 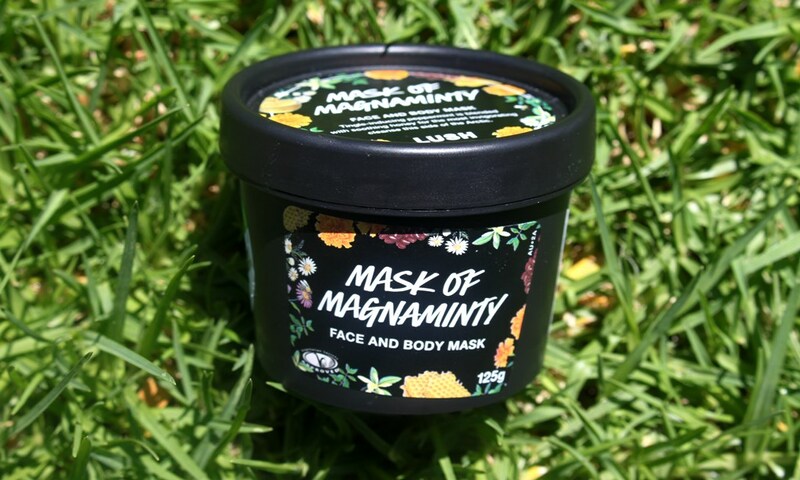 The Lush Mask of Magnaminty is available in a 125g jar which costs AUD$16.95 (13.5c per gram) and a 315g upgrade for $35.95 (11.5c per gram). 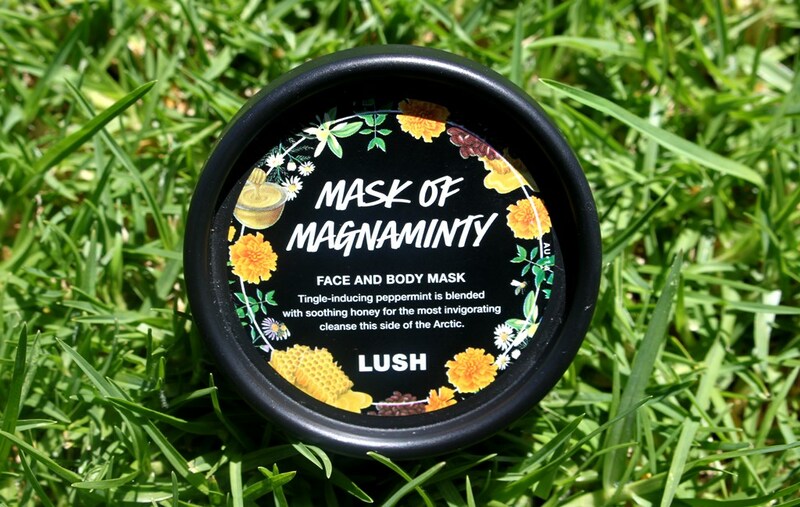 You can purchase the Lush Mask of Magnaminty from Lush retail or online outlets. The product has a shelf life of four months regardless of the date of opening. Both the manufacturing and expiry dates are clearly printed on the packaging. Firstly, let me start by saying that Lush has never been a brand that interested me. I always thought the key Lush market was for teens. 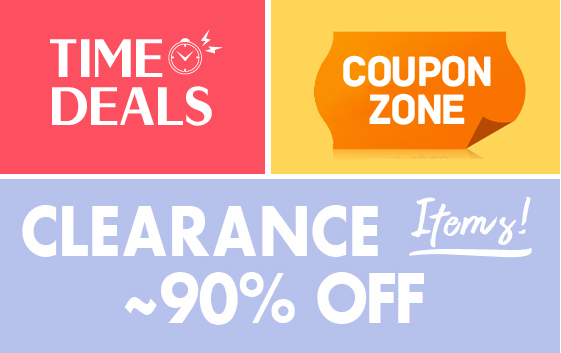 This is probably a perception gained by the vibrant colours and youthful appearance of the store and its vivid products. That and the fact that my 13 year old daughter is obsessed with this brand. After much insistence that I give it a go, I gave in to her and did a bit of online research. I also picked the brains of the in-store consultant in deciding on a first product to try. Given the reputation, it was really a no-brainer to go with the Mask of Magnaminty. 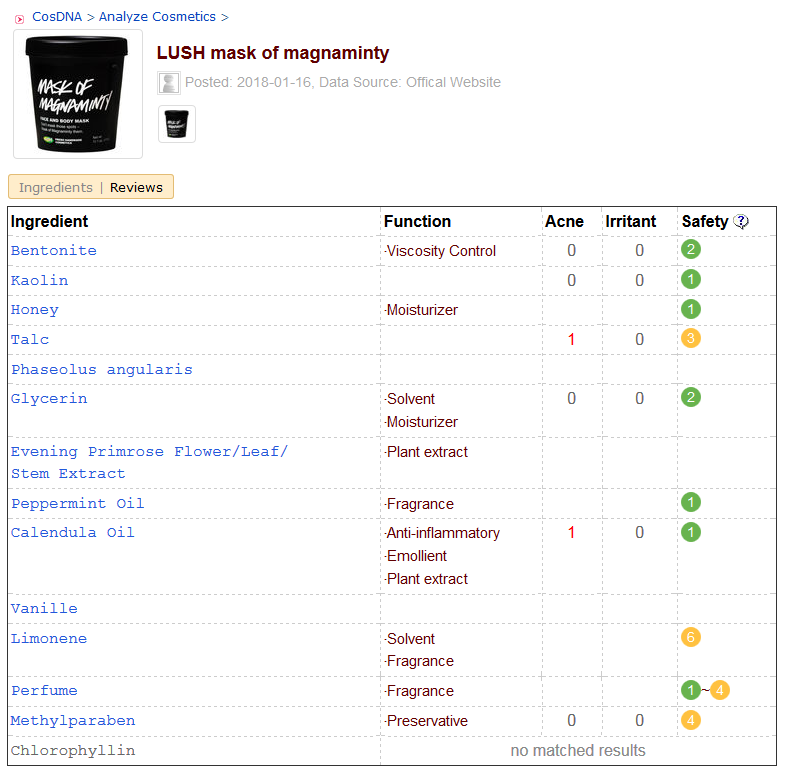 During my research I discovered that Lush procure their materials from organisations that do not test on animals and exercise safe working environments. They work towards creating sustainable farming practices in less economically developed countries in an attempt to boost their economies, communities and conditions. Good to see an ethically minded company with a global vision. First impressions were that it looks a lot like other clay based masks. 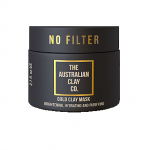 The colour and fragrance reminded me a little of my much loved Just Neem Clay Mask but less viscous and less potent. A big difference is that the neem mask makes my eyes water! 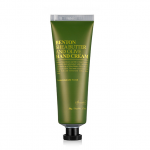 The natural mint fragrance of this product is refreshing and application is instantly cooling. 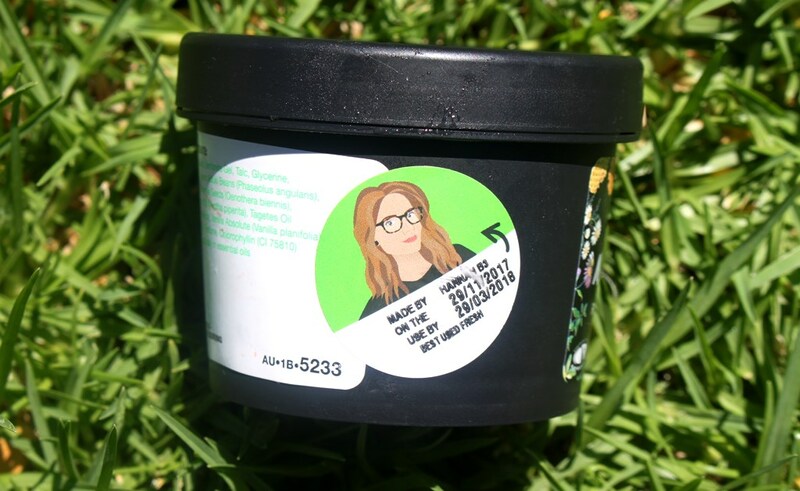 Regarding the packaging, the jar is made from 100% recycled plastic which is great but unfortunately, the oils tend to leak. Thus, store it completely upright and unless you repackage or decant into another container, it won’t travel well. There is no dispenser or spatula so you just dig in (which is fine). It seems to keep the nominated time so contamination through directly plunging into the product doesn’t factor. 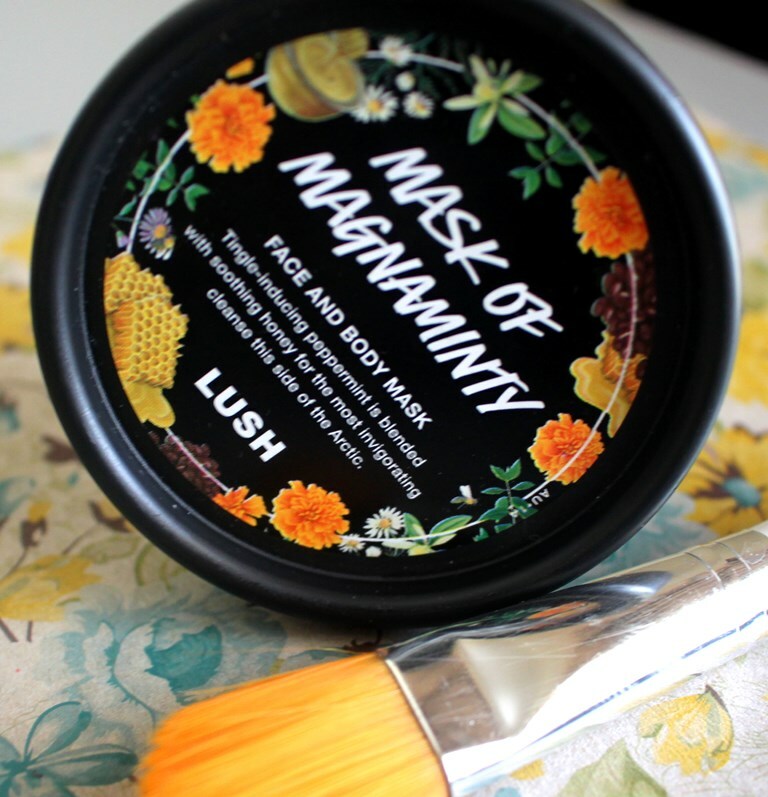 I love that this mask only uses natural preservatives, an increased amount of antimicrobial honey assuring a four month shelf life. Buying the smaller one was a choice made by my desire to have several masks on rotation, avoiding problems finishing it before it shows signs of degradation. I prefer applying wash-off masks with a brush, however, as this one is quite chunky with exfoliating beads, it is satisfying to just scoop it out with your fingers and massage it on. Gentle rubbing will stimulate a higher level of exfoliation. 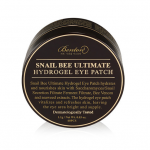 It can be used for cleansing or as a leave-on/wash-off mask, effective after around 10 minutes. 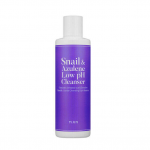 I like a gentler cleanser so opt for mask application only. As there is no guide to indicate a suggested removal time, I tend to leave it on for as long as I can tolerate which is usually around 40 minutes. Also, the self-preserving version doesn’t dry hard like it’s counterpart so is easy to wear. The peppermint makes for a clean, invigorating experience that I find very pleasant. It’s not intense. When I am ready to rinse, I like to start by wetting my hands and gently rubbing my face in circular motions to get another level of exfoliation. Removing the mask with a damp face washer will also achieve this, alternatively, it can be rinsed off under the shower or over a wash basin. After rinsing, my face feels clean and soft with a smooth, even texture, and looks bright and refreshed, confirming successful exfoliation and deep cleansing. 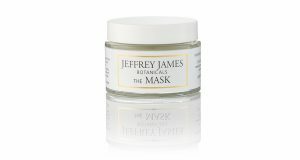 The effects are very enjoyable and my skin looks great without feeling dry. 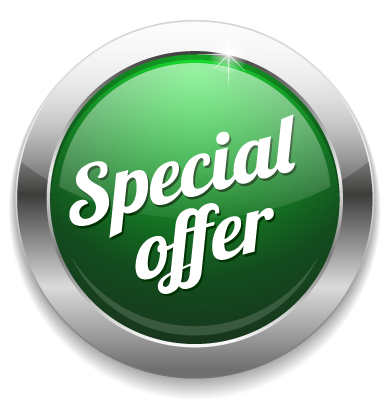 With all natural ingredients, provided you are not sensitive to fragrance or essential oils, this is really worth a try. The results are instantly satisfying. 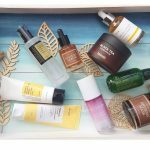 Having enjoyed such a positive first experience with this affordable, ethically minded brand, I am likely to try another of their skincare range in the near future. My 13 year old daughter will make sure of it!